When something like the horrors of the Nazi regime have been documented in cinema for over 70 years, it becomes hard to avoid presenting a different take on the evil perpetrated by goose-stepping madmen. Phoenix, the latest film by Christian Petzold, is still a heart-wrenching drama about the aftereffects of the war without the clichéd emotional manipulation that is found in many stories about the Nazis. A slightly different approach, a magnificent lead performance by Nina Hoss, and some impeccable filmmaking lift Phoenix into the realm of the year’s best films. Nelly Lenz (Hoss) lost everything in the war. All of her family were victims of the ghastly crimes at Auschwitz, and Nelly was tortured so brutally that she needs facial reconstructive surgery. Nelly’s care is being overseen by Lene Winter (Nina Kunzendorf), a family friend who wants to leave Europe for the impending Jewish state in Palestine. Though Lene wants to take Nelly with her, Nelly is preoccupied with her own personal search for her husband Johnny (Ronald Zehrfeld). When Nelly finally finds her husband working in a nightclub, he doesn’t recognize her due to extensive surgeries on her face. It’s not just that, she’s apprehensive and wounded after living through the unspeakable horrors of Hitler’s depraved regime. But Johnny, who now goes by Johannes, sees enough of his wife in her that he asks her to take part in a scheme of his. Assured that his wife has died, he asks Nelly to impersonate herself so he can collect her inheritance. Holding out hope for the man she loves, Nelly agrees to plan. 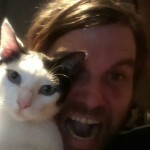 There are a number of reveals within Phoenix, and I’ve tried my best to withhold them. Based on the novel Le Retour des cendres by Hubert Monteilhet, Petzold and co-writer Harun Farocki have crafted a screenplay without an ounce of fat. Everything that is on the screen is vital to the story at hand – that’s something that’s all too rare these days, frankly. It speaks to the power of the storytelling at play here that the film is able to mine such tension and drama without having its characters staring down the barrel of a gun. 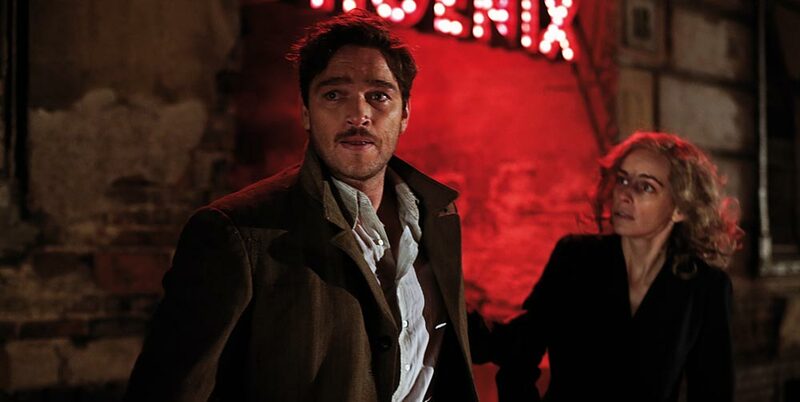 As much as Petzold keeps the film moving at a marvelous pace with beautiful cinematography and good writing, Phoenix is carried on the back of its leading lady. Nina Hoss’ performance is majestic in its subtlety, from her apprehensive steps to her wounded eyes. Even when it seems as if Nelly is making questionable decisions, Hoss sells every decision with such conviction, conveying empathy at every turn. The ending of Phoenix may be the very best conclusion of the year in cinema. It relies on misdirecting the audience in one direction before pulling the rug out from under everyone – the audience, the characters. Every moment is leading up to the stunning conclusion, not merely a twist tossed in for the hell of it. Phoenix is magnificently acted, marvelously directed, and meticulously written tale about identity and rebuilding following the degradation of the Nazi regime. This is a striking film that will swirl around in my mind for months, if not years, to come. Phoenix opens in select theaters on July 24th and expands to other cities in the following weeks.